MEMBERSHIP/FEES/OTHER RULES: First time shooters will be observed for two rounds of shooting by a Club Staff member or a Club member in good standing. Annual memberships are $250 and run January through December. 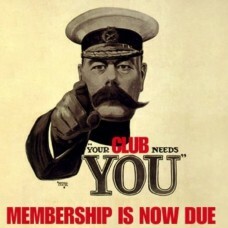 Current membership renewals paid prior to December 31, are $225. Membership fee beginning the month of July will be prorated for each successive month (July through December); plus the entire fee for the following year. Shooting tokens are $5.00 per token for members, $7.00 per token for member guests, and $10 per token for manager guests with a minimum of 3 tokens purchased for manager guests. A token buys one round of shooting (25 targets on any field). Members will sign a “Release, Waiver, Indemnification and Covenant Not to Sue” annually with membership renewal. Guests will sign a “Release, Waiver, Indemnification and Covenant Not to Sue” on each and every daily occasion of shooting or assisting a shooter. Members and guests must pick up their hulls and other trash at the conclusion of their shooting session. Members are responsible for cleanup and returning the facilities to appropriate conditions for the next user. Use of the facilities for cooking should be pre-approved by management. Shooters must furnish their own shotgun and ammunition.